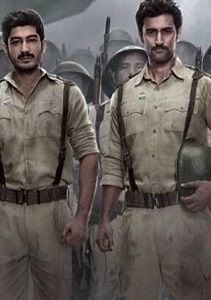 Review Summary: High drama meets low production values, 'Raag Desh' is a decent telling for a story that deserved a lot more. Keen observers might recall that it was HBO's brilliant war-series 'Band of Brothers' (2001) that instantly led to the rebirth of American television. Look at where American television is now. 'Raag Desh' totally deserved that same kind of stellar, multi-part treatment. It's got everything going for it. For now, big-screen cinema will do, I guess. Taken from the annals of the Indian history, this film shows us a facet of freedom struggle not well known and is a great attempt at bringing history alive. Raag Desh' is like a text book based army story. The facts are there, excitement is there, curiosity is there but the feel is highly missing.